Introducing ‘chia nice cream’! This little bowl of goodness takes a few extra minutes of prep (I suppose it doesn’t have to if your creative with your spices) but it is worth it! About 5 minutes prep the day before makes this a delicious treat whenever your ready and in the mood for a little spicy sweet treat! We brewed two chia tea bags in hot water and let them steep for about 10 minutes. 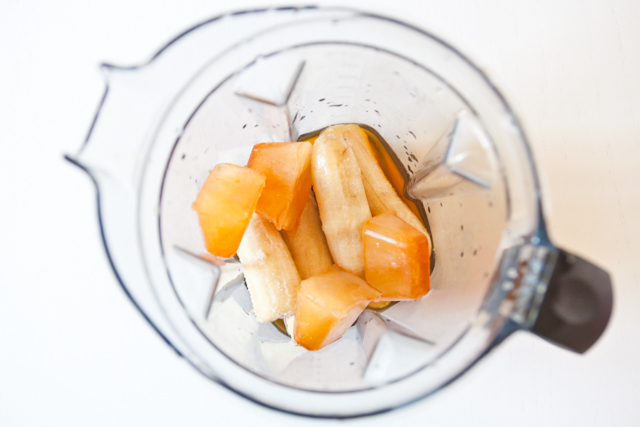 I added a generous squirt of agave and then poured them into ice cube trays and froze them. Leaving about 1/2 cup of chia tea to put in the refrigerator to be used in the ‘nice cream’. When ready to make, blend all ingredients in a high speed blender. Enjoy! 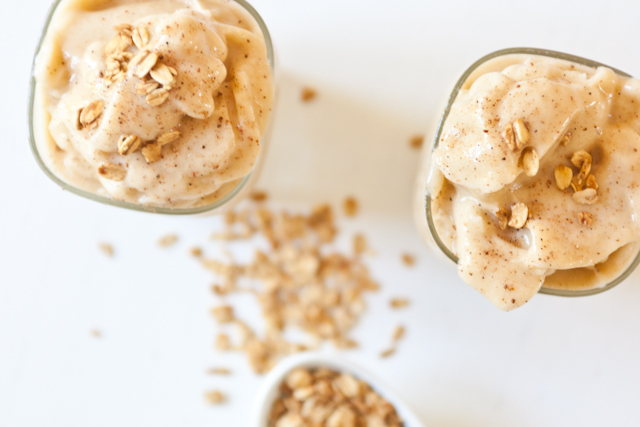 We sprinkled nutmeg and granola on top of ours… wouldn’t have changed a thing! chai! one of my favorite flavors! looks delish!